There’s been a lot of discussion recently on what schools should be teaching kids. Just this month, the United Kingdom announced the addition of cyber security to its curriculum in response to a lack of education in the field and the rising industry skills gap. 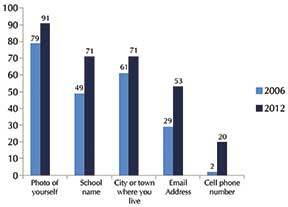 The latest statistics show that 83 percent of teens in the US aged 14-18 are on a social network. More than 90 percent of them share their real names and use real photos of themselves, and around 20 percent share their cell phone numbers, according to Pew Research Center figures from 2013. What the statistics mean is that what children (and adults, for that matter) do on the Internet is available to pretty much anyone. But that’s just the reality we live in. There is a one-in-seven chance that anyone with intent and an Internet connection can find your child’s cell phone number right now. Dennis Kelly, president of the United Educators of San Francisco, says that teachers are already overworked, and although social media is important, so are other things. “All students should learn to swim, but should it be the school’s responsibility to teach them swimming?” Kelly asks. Well, I say yes. If you’re a school in an area where your students are regularly going to be swimming, then you should feel it’s important that they know how. Australia, a country where over 75 per cent of the population lives near the ocean, has swimming as part of its curriculum. Likewise, as the numbers indicate, social media is already a large part of students’ lives and teachers should see this as an opportunity, not as a burden. 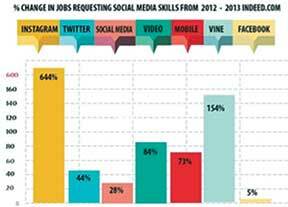 Along with personal privacy and safe Internet usage, recent hiring trends suggest teens should learn how to use social media for their jobs. A recent Indeed.com study of the site’s job listings shows a huge spike in companies looking for employees with specific social media skill sets. By analyzing the data from the title and description of job postings, Indeed.com found that jobs requesting Instagram skills were up 644 percent from 2012, and those searching for Twitter experience was up 44 percent. The term “social media” rose 28 per cent. A lot of students have either completely crossed over or begun the process from parental influence to peer influence. Because this group uses experimentation to establish their adulthood, their social media interaction can exhibit inappropriate behaviour that seems uncharacteristic. It will be more common for them to have established several social-media communities, some with different user names. They are more aware of how to keep these personas private, but their behaviour on social media may get riskier, due to this false sense of security. It’s important to teach students how to use privacy settings, the importance of location and tagging information, and how to maintain a professional public appearance online. They also need to be made aware of appropriate behaviour in private places such as locker rooms, bathrooms, hallways, and bedrooms. Remind them that behaviour in private places may not stay private and that anything they do could become a video or picture on someone else’s social media. Make the connection between their privacy habits and their ability to get into a good college, get an athletic scholarship, or even get the jobs they want after they graduate. Erick Qualman, author of “Socialnomics” and “What Happens in Vegas Stays on YouTube,” said, We don’t have a choice on whether we do social media. The question is how well we do it.” I know it’s not traditional, but some things really are more useful than calculus. The author is a social media manager at Northcutt.This article originally titled Why social media needs to be taught in Schools appeared first on VentureBeat http://venturebeat.com/2014/10/29/why-social-media-needs-to-be-taught-in-high-school/. It has been reprinted here with permission. VentureBeat is a leading technology publication and events business based in San Francisco. Don’t get caught in the web!